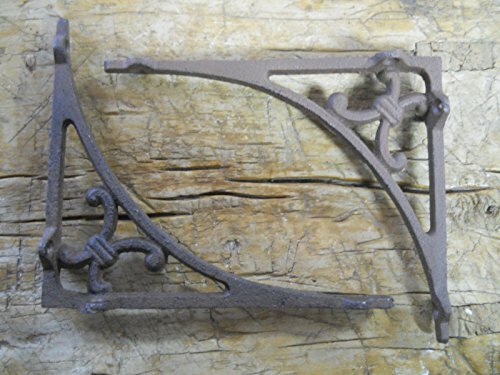 Here's a great wholesale lot of 12 cast iron shelf brackets. Made just like the brackets of the past. These have the same look of the antiques, but at a much lower price! measure approx. 6 3/8" tall top to bottom, 7 1/2" from the wall to the front. Each brace has 6 holes for easy hanging. These do not include screws!great item for re-sale or for those restoration projects. This item was manufactured to look antique, expect some built in imperfections.